Meals in the freezer are like money in the bank. For one thing, you can buy ingredients in bulk, and often at a discount. For another, dishes that freeze well mean less food waste. Didn’t quite finish that homemade sweet potato soup? Pop the leftovers in the freezer and enjoy a “free” dinner months down the line. But despite their cost-cutting benefits, freezer meals can get a bad rap. Too often, we think of retro casseroles or cheesy, carb-laden dishes — boring, bland trays of food lacking vegetables and fresh, vibrant flavor. It’s time to give them a second chance! Frozen dishes can be light, healthy and delicious. Here are some of my favorites, including vegetarian, vegan, gluten-free and paleo options. This soup will cost you peanuts — literally. And it’s vegan to boot. The secret ingredient is 1/4 cup creamy peanut butter, which imparts an incredibly luscious texture. A big pinch of cinnamon and a sprinkle of chopped peanuts are the perfect finishing touch. The recipe yields two quarts, so you can serve one tonight and stash the other for another time. The rutabaga is an underappreciated, dirt-cheap root vegetable. In this vegan recipe, you’ll layer thinly sliced rutabagas with kale and sweet potatoes, then smother them with cashew cheese. To freeze the casserole, assemble and wrap it tightly in a layer of plastic wrap and foil. Thaw and bake before serving. While they’re always cheap, most burritos aren’t exactly low-fat. This vegetarian recipe forgoes the calorie-laden meat and guacamole, replacing them with taco-spiced peppers and mushrooms and cilantro-lime rice. To freeze, wrap burritos individually in aluminum foil. Wait, you don’t already have pesto in your freezer? You’ve gotta get on that. Pesto freezes beautifully for months on end. This version replaces pricey pine nuts and Parmigiano-Reggiano with more wallet-friendly walnuts and Asiago cheese. Jalapeno adds an unexpected, spicy kick. Traditional lasagna is often loaded with ground beef and oozing with cheese. Delicious? Yes. Healthy? Not so much. These chicken- and spinach-stuffed rollups are easier, faster and lighter. The recipe yields two pans — one to bake and one to freeze. There’s an infamous recipe online for a broccoli cheese casserole with canned cream of mushroom soup, loaded with fat and sodium. This recipe is a refreshing revamp made with protein-packed quinoa and fresh mushrooms. Make it now while markets are still overflowing with cheap zucchini. A two-pound bag of carrots can cost less than $2 at the grocery store, so carrot soup is always a huge bargain. This is my all-time favorite version; I must’ve tested the recipe half a dozen times to get it right. The secret ingredients are freshly squeezed orange juice and full-fat coconut milk. This is a make-ahead must for winter cold season. These kid-approved bean balls include with mushrooms, kale, lentils, oats, flax meal and sunflower seeds. Could they be any healthier? Smother them with your favorite tomato sauce and serve over pasta, or stuff them in a roll for a veggie meatball sub. They’re quite filling, so you can freeze half the batch for another meal. These gluten-free, paleo (if you skip the bun) burgers stretch a single pound of ground turkey into six portions by supplementing it with grated sweet potato. Freeze the uncooked patties for up to three months. It’s hard to believe, but it’s true — a couple of containers of hummus can feed six people for dinner. This vegan soup includes so many wholesome (and cheap!) ingredients, including rice, spinach and chickpeas, that a big bowl really is a complete meal. I stock up and make this whenever hummus is on sale. 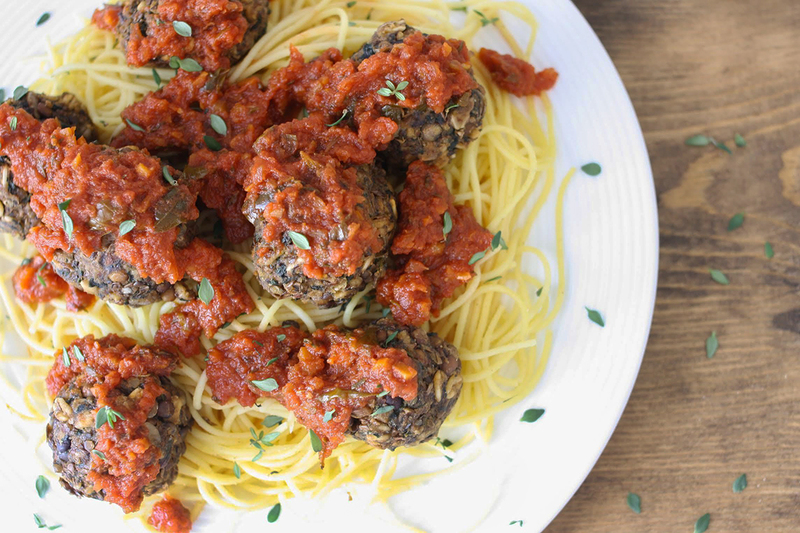 Yes, these meatballs are made with slightly pricier organic beef, but it’s so much better for you! Justify the splurge by freezing half for a future meal. The addictive homemade teriyaki sauce is spiked with plenty of garlic and freshly grated ginger — you’ll never pay for the bottled kind again. This is the ultimate cheap, healthy, fuss-free meal. The slow cooker transforms dried beans, a couple of cans of diced tomatoes, an onion and pantry-staple spices into a hearty, smoky, fiber- and protein-rich vegan chili. Lucy Baker blogs about vegetables (and occasionally desserts) at Turnip the Oven.